Ecuadorian ace wants long term United stay. Manchester United midfielder Antonio Valencia has spelled out his desire to finish his career at Manchester United, Sky Sports reports. The 27-year-old has just two years left of his current deal with the newly crowned champions and he is hoping that he has done enough to earn himself an extension to stay with the club. “This [Manchester] is my home, I would like to stay here for a lot longer and retire here before going back to Ecuador,” he said. Rumours circulated recently that he had been seeking a move away from Old Trafford, but the player moved to dispel those false claims, something which he believes originated from his homeland of Ecuador. “Neither the club or the coach have said anything about that (leaving Manchester United), I think it was a rumour that came about in Ecuador more than anywhere else,” he told Radio La Deportiva. 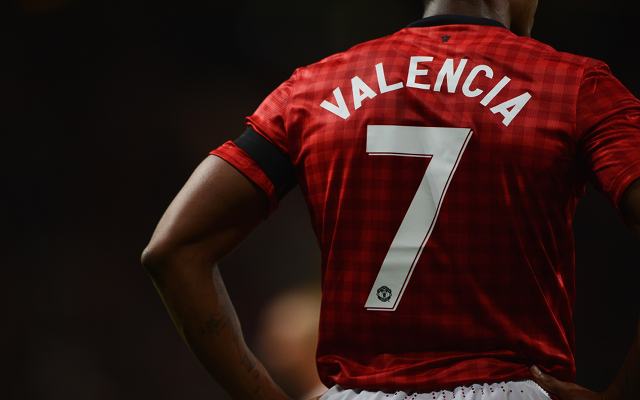 Valencia joined United From Wigan Athletic in 2009 for a fee in the region of £16 million. He has since gone on to make 142 appearances for The Red Devils, scoring 16 times.